"Protection of a Reputable Foreign Trader's Legitimate Interests Under the Law of Passing-Off"
Abstract: Analyses the UK Supreme Court decision in Starbucks (HK) Ltd v British Sky Broadcasting Group Plc  UKSC 31;  1 W.L.R. 2628. 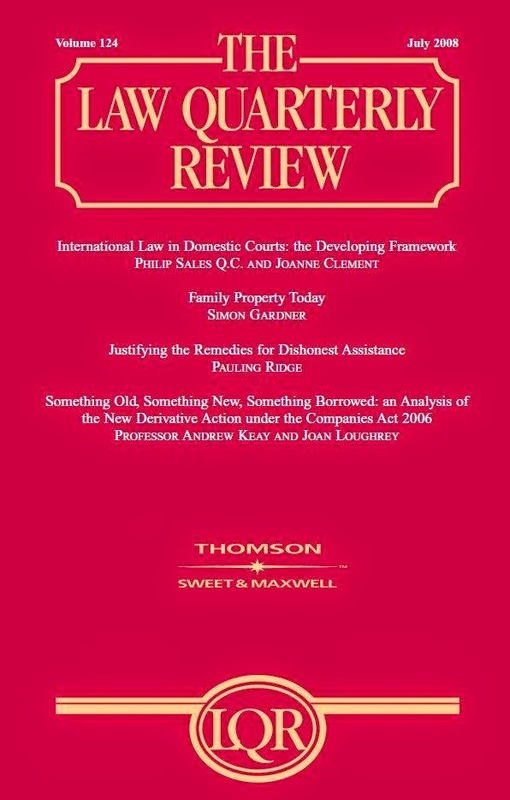 Argues that: (i) the Starbucks case represented a missed opportunity for the Supreme Court to develop the law further still by recognising that evidence of mere reputation in the UK, as opposed to goodwill due to the presence of local customers, can itself satisfy the first element of actionable passing-off, with reference to the development in Australia, Hong Kong and other common law jurisdictions; and (ii) a foreign claimant with mere reputation in the UK has at least two legitimate interests that should be protected under the law of passing-off: first, the claimant’s ability to use its name or mark as part of its future expansion of business into the UK market; and secondly, the claimant’s brand image developed through its supply of high quality products or services over the years. Click here to download the article.